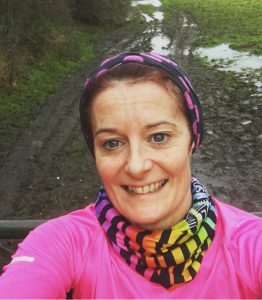 Whether you are starting your VLM training, upping the ante on how many running miles you’d like to achieve this year or just thinking of running as a new fitness idea, there are a few things I could advise to help you on your way…. Choose the right shoes, which does not always mean the expensive ones. A good running shop will asses your gait and foot biomechanics to help you get the right pair for your feet. These should last you at least 400-550 miles which is quite a distance! Build your distance and speed gradually – this will allow your muscles to become used to their training and thus lessen the chances of overuse injury or muscle strain. There are some really informative websites and apps to help you plan your programme. Couch to 5k app / Runners forum /marathon training programmes through Runners World etc. Warming up and cooling down – sometimes seen as the “boring and tedious bit” but learn to love your stretches! They are a fundamental part of any exercise/training routine. Muscles need to relax as well as contract, they will not do this effectively without being stretched regularly. They will become short, hypertonic and much more prone to injury. Core strength is also a major support to other musculature so taking up pilates, swimming or yoga to compliment your running is a good idea. Keep your body well hydrated, remember water is essential for optimum muscle function and can help prevent post exercise cramps! Most of all enjoy your running, set achievable goals and be proud of every run you do. However short or however difficult. You still did it! Well done. Treat your body to some regular maintenance therapy and if any niggles begin to appear, we can sort them before they become an issue. Ooh and an Epsom salt bath at the end of a run can be particularly rejuvenating. This entry was posted in Caroline blog. Bookmark the permalink.